You don't have to have your own website to be able to offer your customers the convenience of online registration and online account management! All of the web pages for the four online modules (Web Reg Form, Class Listings Tables, Parent Portal, and Events Online) are hosted by Jackrabbit. With this, you are able to give your customers links to these pages without having to have a company website. 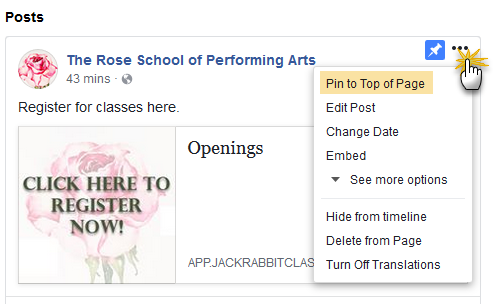 Use your Facebook page, send an email, or print up flyers to give your customers access to register online for classes and/or events and to access their Parent Portals to manage their accounts. Post a link to any of the modules by copying the code into the body of the post. When you enter the code, Facebook will add a link. You will then be able to delete the code text that you added and replace it with verbiage to 'introduce' the link. Once you have published the post you can also pin it so that it stays at the top of your feed, no matter how many posts come after it. 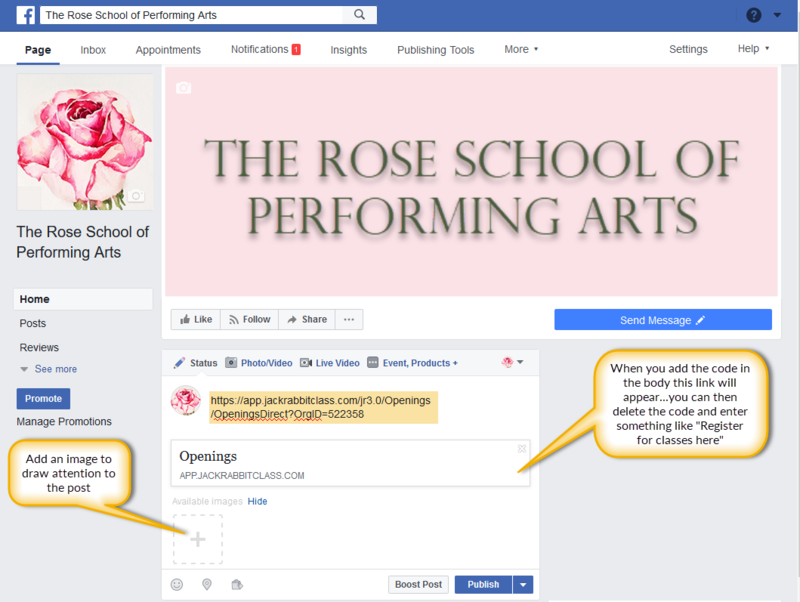 When your customers go to your Facebook page the first post they see will be the link to your class listings. Email is another way you can distribute the links to your online modules. 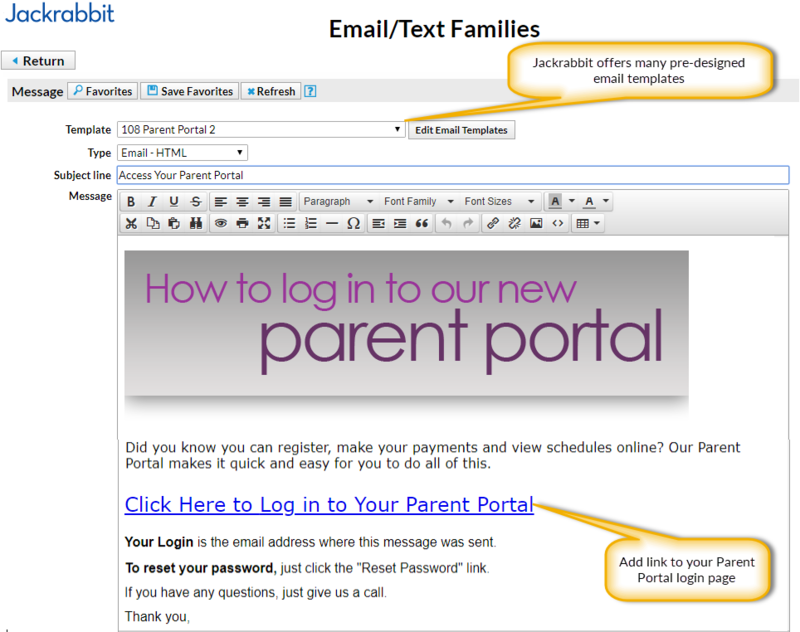 Send a link to your Web Registration form to all of your prospective customers or send a link to your Parent Portal to existing customers. You also can opt to share filtered Class Listings Tables and target parents of the students eligible for your classes. 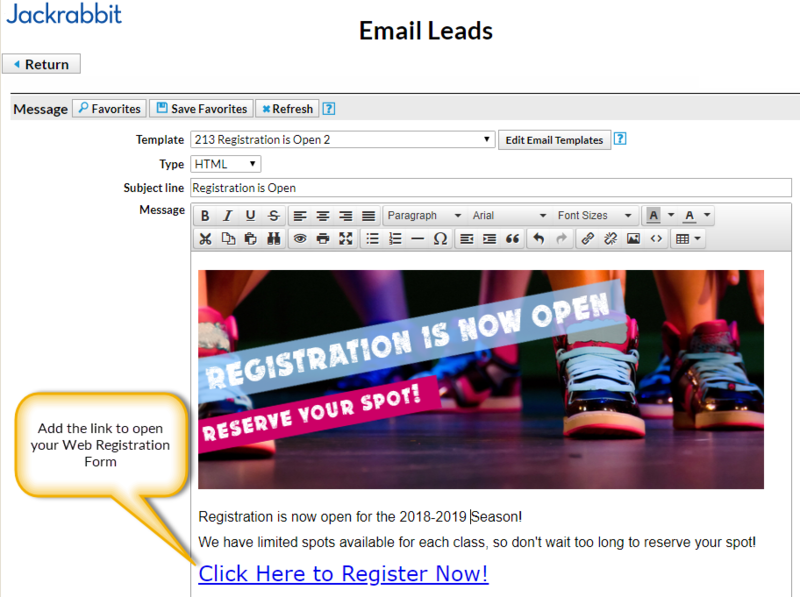 See our Help Article Filter (Group) Your Class Listings Tables for more information. 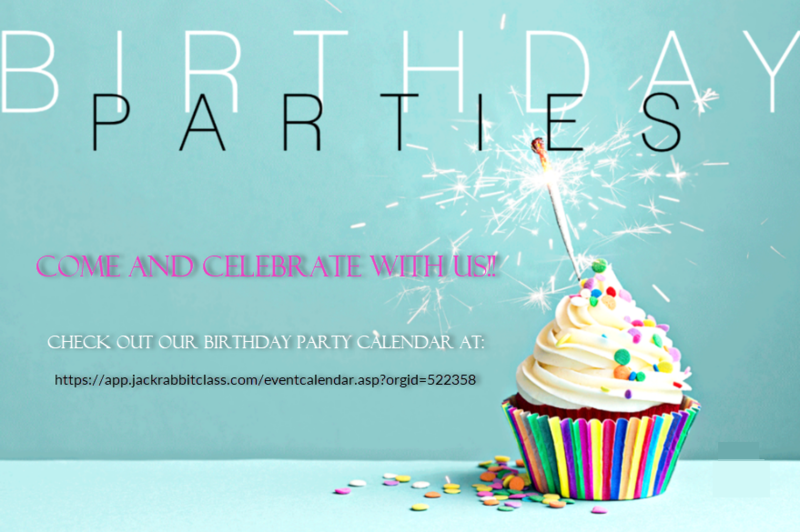 You may want to do a mail out promotion for your birthday party events. Add the link to your Events Calendar on your flyer. Giving your customers access to online registration, account information, event information and your class listings can be life-changing for your staff. Time savings in entering registration information alone is huge. They also will be freed up from answering phone in questions and account management details for parents.